Article: "An Investigation into Medical Students' English Language Needs." Due to the acceptance of English in twentieth century as international language of science and medicine, a considerable body of medical research and literature has been produced in English. This dominance of English in medical accounts paves the way for emergence of a new ESP branch (English for Specific Purposes) as EMP (English for Medical Purposes). The basic insight into this trend is to offer course design, content and materials by being responsive to target language learners' own agenda. Therefore, it is necessary to find out first what is specifically appropriate, available and applicable for the target situation and target language learners in terms of their needs. In discovering their needs, needs analysis is regarded as an integral part of decision making processes in EMP. Without conducting a needs analysis process, using a medical English course book might not be enough for a medical student studying in an EFL (English as a Foreign Language) context like Turkey since most of the medical English course books in use are mostly addressing the needs of students in an ESL (English as a Second Language) context. Accordingly, as a part of a needs analysis process, this study aims to investigate academic English language needs of first year medical students who are attending advanced English course at the Faculty of Medicine at Karadeniz Technical University. The data was collected via a structured questionnaire with 47 items. It covers five different parts focusing on medical students' purposes of learning English, significance of learning English, their preference of learning environment, language learning needs of major language skills (reading, writing, speaking, listening), their preference of assessment type. The questionnaire was administered to 169 students at the Faculty of Medicine at Karadeniz Technical University. Descriptive statistics was employed in order to analyze the data. 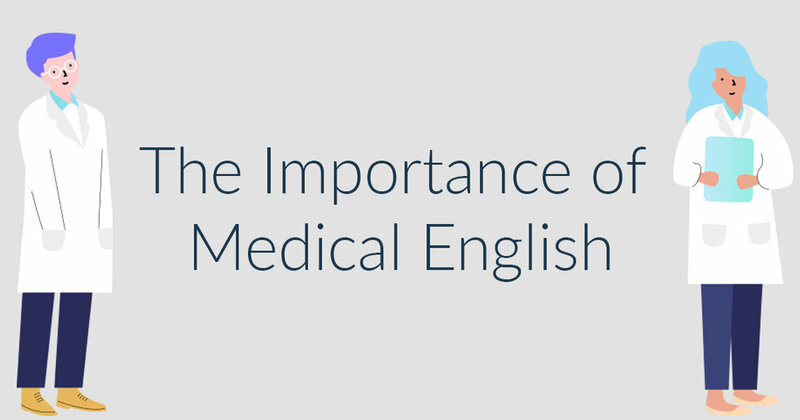 Source: An Investigation into Medical Students' English Language Needs.